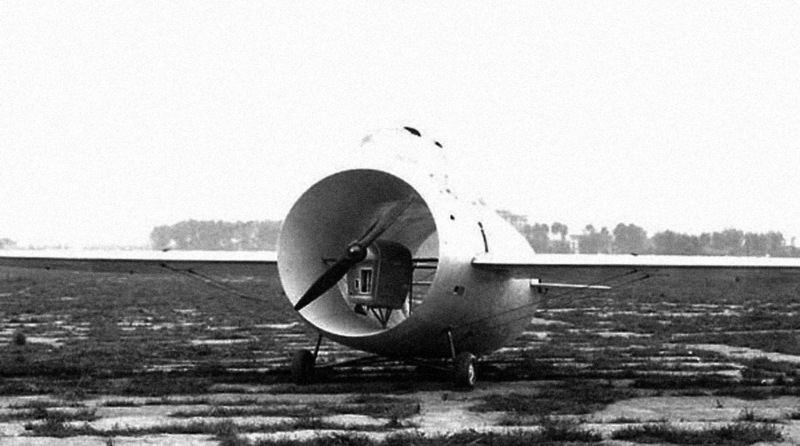 It looked every bit like a flying barrel, its fuselage too fat and too round. The wings looked like an afterthought, jutting out from the sides of the barrel. A narrow channel fuselage was perched on top, in which the single pilot sat. The tail seemed too small, just thrown on to give the barrel at least some semblance of being capable of flight. The two wheels jutted out of the bottom, dressed in wheel pants for streamlining. Making the barrel all the more bizarre was the fact that it was a tail dragger. From a distance, one might have mistaken it for a badly designed copy of a Gee Bee racer, except that there was something strange about it. It was hollow. The front and back of the barrel — or more properly, what would have been the top and bottom, except that the barrel was turned on its side — were open so that the wind stream could pass cleanly through. Mounted on pylons at the front of the barrel was an engine pod with a propeller. It all looked laughable, except that it was anything but that — in fact, its designer, an innovative aeronautical engineer named Luigi Stipa, had penned it out carefully in concise mathematical modeling on paper for over five years. And today in aviation history, October 7, 1932, was the plane’s first test flight. Photo of the first flight of the Stipa-Caproni “intubed propeller” airplane, October 7, 1932. Luigi Stipa had worked for years on his core concept, which he called an “intubed propeller”. A close study of Bernoulli’s principles of fluid dynamics, Stipa had theorized that a propeller directing its thrust into a tapered venturi tube would result in increased thrust due to the aerodynamics involved. Propeller tip vortices could be eliminated, reducing induced drag from the rotation of the propeller — and likely reducing noise as well. The tapered venturi would add stability as well and increase efficiency. It was a radical concept and one which he took to paper and began working out the mathematical formulas to prove the concept. Stipa’s idea was that the intubed propeller would be ideal for airliners and cargo planes and he envisioned a number of intubed propellers hanging under the wings of a large, super efficient airplane. To test the concept, however, all that would be needed was a small, single engine, dual tandem seat plane. Finally, after years of work, he had refined his engineering work on paper sufficiently to present to the Italian government in hopes of gaining funding. Along the way, he had made a number of key findings — again, all of this from engineering work strictly on paper — among them that the propeller shapes and size of the venturi at front and back, as well as the rpm settings for the propeller had a relationship that could be optimized. He worked out that the venturi itself should be shaped so that its cross section, at any point on the radius, was in the form of an airfoil. He had developed the right shape and mounting methods for the engine pod. He had even refined the propeller’s airfoil for maximum efficiency in the design. Looking down the heart of the intubed propeller into the venturi tube from the front. His prototype would fly, but its real purpose was to test the efficiency of the intubed propeller so that it could be later applied to airliners and large cargo planes. Despite its large size, given the predicted efficiencies, Stipa specified only a 120 hp de Havilland Gipsy III engine. The government was impressed and agreed to fund the development of the aircraft — and the project was handed off to Caproni for construction of the prototype which would come to be called the Stipa-Caproni, which was painted in bold script on the side of the oversize fuselage. The first flight of the Stipa-Caproni would be undertaken by one of the Caproni company’s test pilots, Domenico Antonini. From the first moments, the design was surprising. On the take off roll, the tail came up quickly and as the plane broke 45 mph, the plane lifted off. Despite its size, weight and small wing area, it was flying long before it should have been airborne — perhaps this was the effect of the accelerated airflow from the propeller within the venturi. Flying straight along the runway as he built airspeed, Antonini was surprised by the incredible stability of the aircraft. With its airfoil-shaped venturi tube, it produced aerodynamic forces that balanced in every direction. The result was that the plane resisted any sort of turn or change in attitude — it just wanted to drive straight ahead. Control response was slow but there — and it wasn’t that the plane was “heavy on the controls”, it was just the perfect example of the old fighter pilot axiom that maneuverability is the enemy of stability. It rolled well, but at a given angle of bank, its turn rate was simply far slower than it should have been. As any trained pilot can confirm, an aircraft turns based on the horizontal component of lift and, thus, with a round venturi tube that produced lift equally in all directions, rolling the plane had no result on the lift produced based on the dynamics of the venturi itself. Only the wing helped the plane turn and it was insufficient to overcome the stabilizing effects of the overall design. The Stipa-Caproni with its speed stripes added to the fuselage as decoration. The fuselage and wings were a tan-gold, while the stripes were bright blue. The Italian national insignia marks the tail flash. The tapered venturi was performing almost exactly as Stipa had believed it would. Yet there was another surprise in store for the designer and the first test pilot. It turned out that the plane produced inordinate amounts of profile drag — and this was compounded by the induced drag produced within and outside the venturi tube itself. While it was a mathematical stroke of brilliance to gain the efficiencies from the engine, the drag produced by the venturi kept the plane from accelerating faster than a top speed of 81 mph. Put simply, the more power one added, the more induced drag was produced. The top speed had hit a wall that could not be driven through — at least not without a major redesign of the shape of the barrel-like venturi tube. Finally, on landing, the plane slowed to nearly 40 mph before touching down and then, with the throttle back to idle, it rolled out an unbelievably short distance before coming to a stop. Stipa flew a full test profile with his aircraft, gleaning all of the data that he would need to take the intubed propeller concept to the next level. With that completed, in recognition of the Italian government’s funding of the project, the plane was turned over to Caproni for continued tests in the hands of the government at the town of Guidonia Montecelio. There, the government test pilots confirmed the findings of Stipa’s own tests, literally from the first flight. 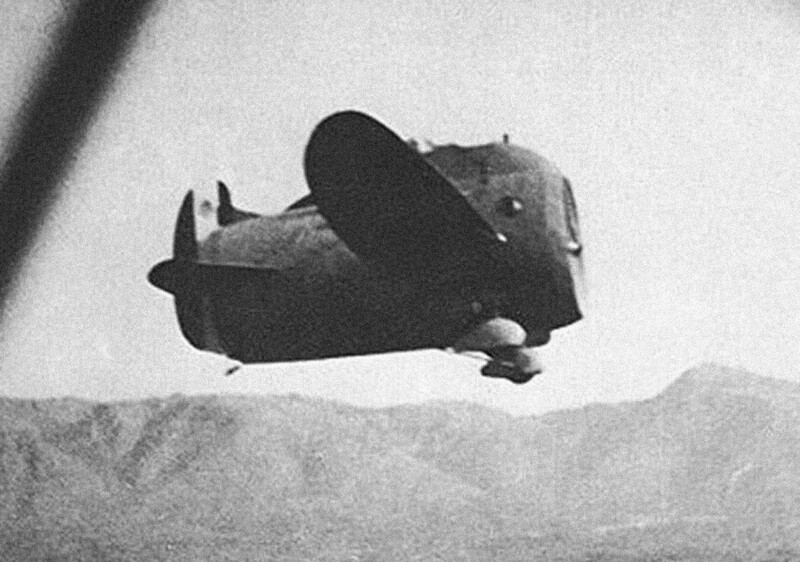 From the Italian government perspective, where speed and maneuverability were key goals in the renewed interest in military operations, the barrel-like Stipa-Caproni was a dead end. Such projects were not worth funding. The plane rests between test flights. In many photos, the wheel pants have been removed, which reduces some of the ugly duckling look to the plane. While Luigi Stipa made pleas for additional support — after all, the plane had proven his technology perfectly and the next step should have been the construction of a larger, twin-engine or four-engine aircraft — the Italian government refused outright. To them, the project was a failure. While they were content to advertise the radical aerodynamics discovered by Italy to the rest of the world as part of their propaganda campaigns, they would never fund any follow-on designs. Stipa even developed a larger, multiengine design but could find no funding to proceed. While the Italian government never funded Stipa’s intubed propeller concept, others would be inspired by his innovation and would proceed with their own experiments. 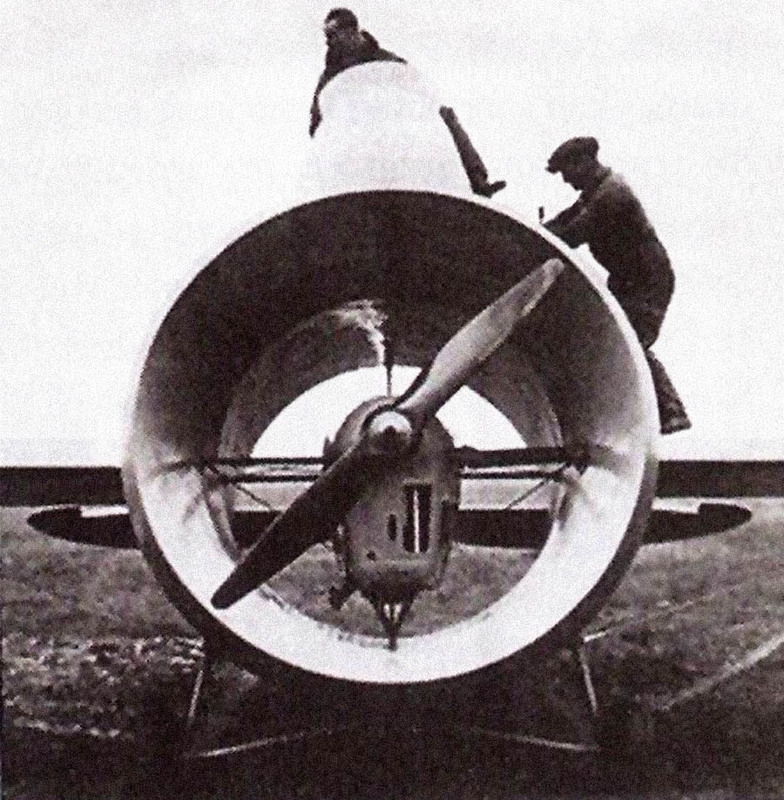 In later years, Stipa made claims that the Germans had copied his design into their own Kort-duct in 1934 and then later into their experimental Heinkel T fighter in 1940. Other nations would take up Stipa’s original intent — France even tried initial designs to produce Stipa-inspired multi-engine aircraft. 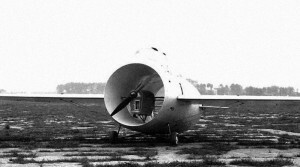 A front aspect view, highlighting the mounting of the center line engine pod within the mouth of the venturi tube. Ultimately, today’s high bypass fans on large airliners like the Boeing 777 and Airbus 380 use engines that follow virtually all of Stipa’s principles perfectly. Instead of a piston engine running a propeller at the center of the tube, these modern engines are jets with wide turbine fans at the front. Whether today’s designers at GE and Rolls-Royce (among others) redeveloped their own Stipa venturi tube on their own or took note of his designs is not quite clear. Certainly, the first jets were created by engineers who knew of Stipa’s work. Ultimately, for aviation and aeronautical engineering, that Stipa’s design efforts were not funded into their next stage by the Italian government is a loss, yet in the end, so correct was Stipa in his painstaking efforts at engineering perfection that the intubed propeller and tapered venturi tube he developed is the standard the world over for long haul, efficient airline transport. That’s not a bad result for an engineer with little more than a slide rule, pencil and paper and not a bad end for an ungainly, ugly duckling barrel of a plane. Although Stipa’s designs were ignored, including his flying wing concepts (likewise he was ahead of his time in that area), the key findings of his venturi tube were incorporated by Caproni into their first jet engine experiments. 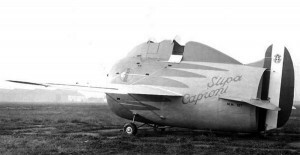 The Caproni Campini N.1 was a narrow tubed fuselage that contained the jet within Stipa’s venturi, atop which the cockpit was placed. In virtually every respect, it used Stipa’s engineering work, which Caproni borrowed from extensively throughout the project. 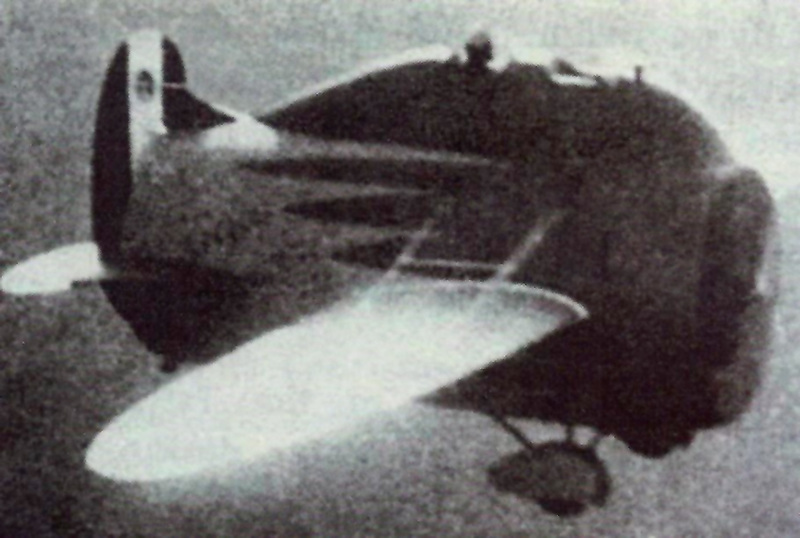 Instead of using a standard engine and propeller at the front, however, Caproni developed something quite radical, which he called the Thermojet. He put a 940 hp Isotta Fraschini L.121/R.C.40 piston engine at the front of the tube. Rather than driving a propeller, it drove a fan compressor that pushed air into a combustion chamber where it was mixed at high pressure with fuel and ignited to create thrust. Not quite a jet engine, it was an interesting development nonetheless, which some refer to today as being more like a ducted fan or a pulse jet, though neither term quite matches the actual design. Clearly, a jet engine is superior, however, as the design suffered from the failures of a jet, coupled as well with the maintenance problems of a high-end piston engine. 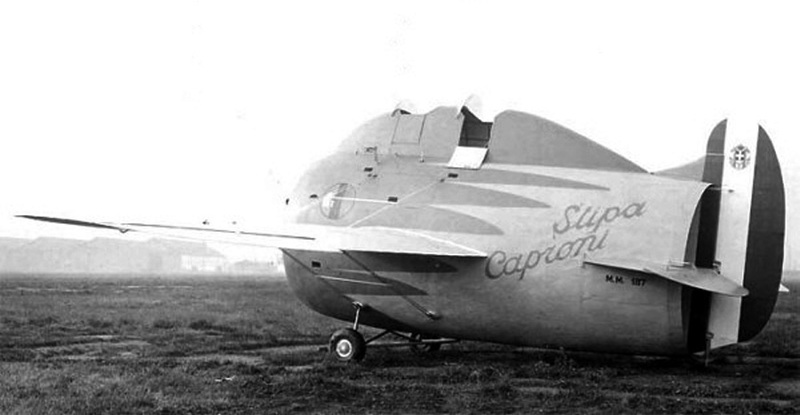 Whatever happened to the sole prototype Stipa-Caproni? Where did it end up? This has significant interest to me, as a good friend and renowned aircraft builder, Bryce Wolffe, built a flying scale replica of this aircraft some years ago, using a 2-stroke ultralight aircraft engine, and actually flew it at the Toowoomba Airport in Australia. It now hangs in the Guido Zuccholi Museum hangar. The Lyn Zuccoli collection has such an aircraft in thr Aerotec hangar at Toowoomba airport. It has been flown,many years ago;I do not think it is the prototype. You should contact Lyn at Aerotec for more information.